What if we told you there’s a simple way you can increase your sales, reinforce your client base, and give your brand a boost? It’s all possible by building a mobile app for your online store. Today, mobile ecommerce apps are taking over the market, gaining many users and racking up considerable profits. And for good reason. 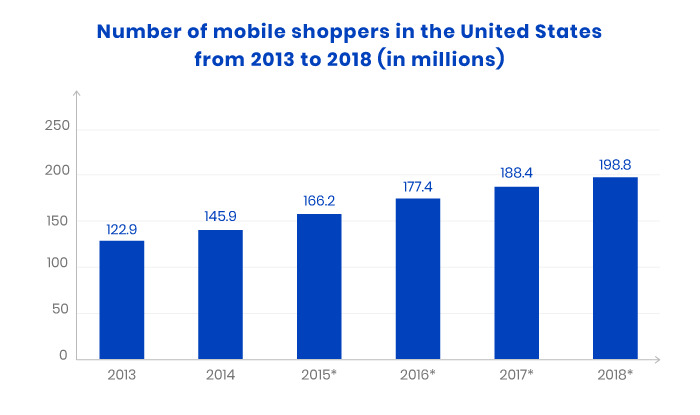 As we can see from the chart below, the number of users who prefer shopping on mobile devices is growing steadily, further reinforcing the need for mobile ecommerce development. According to Statista, the number of smartphone users worldwide will reach 2.32 billion by the end of 2017 and reach up to 2.87 billion by 2020. It’s expected that over 2 billion people will make some form of mobile ecommerce transaction over the course of this year. As a result of growing smartphone usage and active ecommerce activities, the projected value of the mobile retail market in 2017 is estimated at $151 billion worldwide. This goes to show that many online shoppers appreciate the advantages of mobile apps. Considering the favorable developments in mobile ecommerce, there’s a turning point approaching: it’s likely that mobile devices will soon outstrip desktops as the main devices for online retail. In the first half of 2016, the ratio between desktop and mobile usage for ecommerce began to shift, with Japan and the UK being the first tipping points. Seeing that numerous countries are following in the same direction, the importance of mobile apps for online retailers is evident. Having established the numbers that demonstrate ecommerce growth, let’s look into the practical reasons why mobile apps are increasing in popularity and answer the burning question: Why are mobile applications important for your retail business? Why should you get an ecommerce mobile app? All of the statistics above probably have you wondering why customers turn to mobile apps when shopping online. 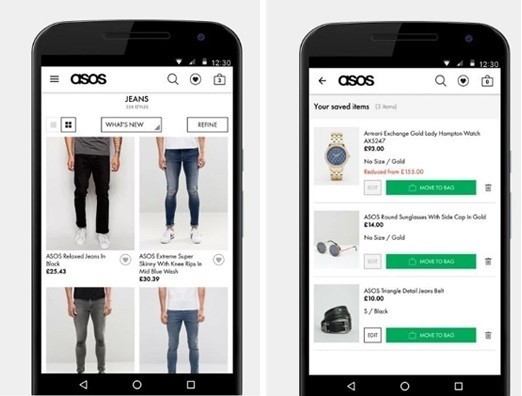 What distinguishes the mobile shopping experience from the experience on a desktop site or in a mobile browser? Let’s go over what attracts users to ecommerce apps and why you should consider creating one for your online store. The advantages of mobile apps vis-à-vis responsive websites accessible in mobile browsers have been argued on multiple occasions. There’s no doubt in the superiority of apps over browsers: 78% of users surveyed claimed they would rather use a mobile app than access a store via a mobile browser. This preference toward mobile apps is not surprising. Ecommerce applications are much more convenient to use while shopping, especially if you’re not making a one-off visit to an online store. For starters, there’s no need to remember a URL and login to access the shop. Plus, applications provide better security and speed compared to a mobile browser. But the downtrend in visiting online stores in browsers is not the only reason you should build an ecommerce app for your store. People who decide to download your mobile app initially show a higher level of investment in your brand. They come ready to buy, while mobile site visitors mostly access your store to check details or look up contact information. In addition, customers spend three to four times more hours in apps than on mobile sites, and access them intentionally. Picture this: by having an icon for your online store on their phones, customers are more inclined to consider ordering from you. Your store is the one that will pop up in their heads when they’re thinking over their next purchase, because reminders are always there working on the subconscious level. According to research by Criteo, mobile app users are twice as likely to return to your store within 30 days compared to shoppers who access your website in a mobile browser. Push notifications. 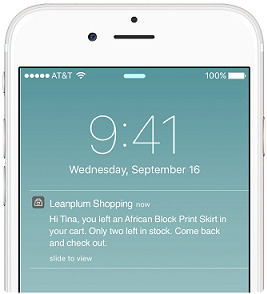 Use push notifications to communicate with your customers. Notify them about sales and special offers or let them know when items they want come back in stock. Make notifications more friendly by addressing your users by name. Advanced support. Good customer support goes a long way. Establish solid communication 24/7 between your store and your customers. 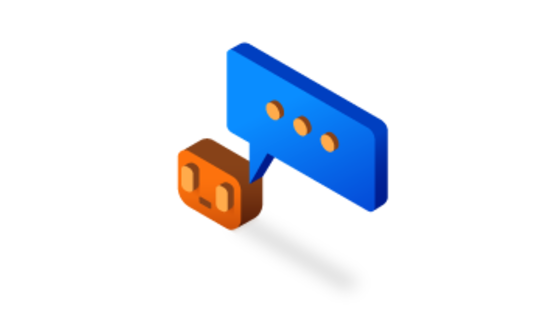 Customers should be able to solve their problems in the app via live chat or chatbot instead of having to switch to the desktop version. A major concern for any internet user is how fast a website or an app performs. The time required for a mobile app to complete an action is significantly lower than for a website because applications store their data partially on a mobile device. Although apps connect to servers just like websites do, there’s ten times less data transmitted between a server and a mobile application than between a server and a browser. Consequently, apps retrieve data much faster. In addition, users are able to set their default preferences in apps, which lets an app load only the content that the customer wants. This allows users to be more proactive and save time. The way your store is presented to your customers can make or break your sales. When accessing a site, users expect easy navigation so they can find what they’re looking for. Mobile apps are relatively restricting in terms of layout, which can play into your hand. To be more specific, the fact that mobile screens don’t allow for irrelevant buttons and banners in your store’s layout can lead to a more satisfying user experience. Lack of distractions will help your customers get to the checkout faster and return more often as they’ll remember how easy it is to make purchases in your ecommerce app. Check out the design for the Asos mobile store. It’s precise and simple, filters are listed discretely and are accessible on demand, and users can easily view saved items by clicking a heart button on the top right. The combination of satisfying UX, simple navigation, and usability lead to high conversion rates. As discovered in research by Criteo, mobile apps increase the percentage of users who complete a desired action compared to desktop and mobile websites. As a result, ecommerce app conversion rates are three times higher than for mobile websites and one-and-a-half times higher than for desktop sites. In addition, customers who access your store through an app are likely to view 4.6 times as many products as they would in their mobile browsers owing to optimized item display. 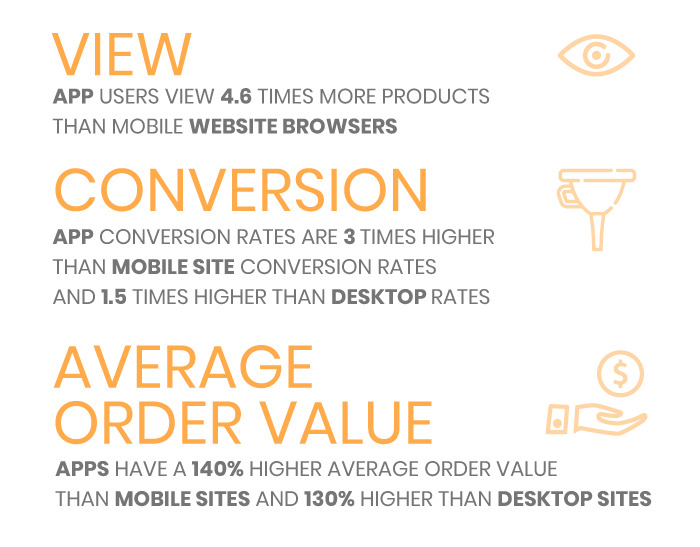 Lastly, average order value in apps is 140% and 130% higher than on mobile sites and desktop sites respectively. Did you know you can use your customers’ devices to your advantage? 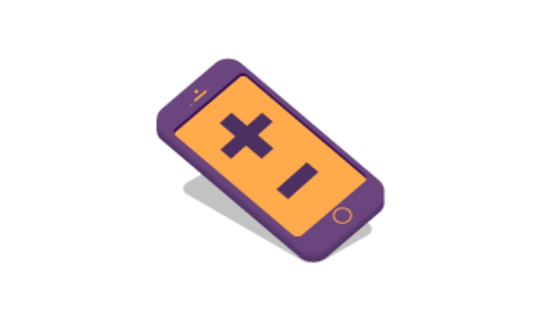 The features on users’ phones can integrate with your app to increase customer engagement and simplify navigation. GPS allows an app to pinpoint a user’s location. You can introduce a feature that geotags customer addresses, which can eliminate the need to input shipping information manually. In addition, if users are looking for a physical store location you can direct them to the nearest shop and check the availability of items. Microphone. You can provide users with an option to verbalize what they’re looking for to simplify the search process. Camera. Numerous websites are letting customers share pictures of purchased items and upload them to the store’s social media accounts via apps. This allows you to display products in real life, which can significantly increase the chances of a successful sale. 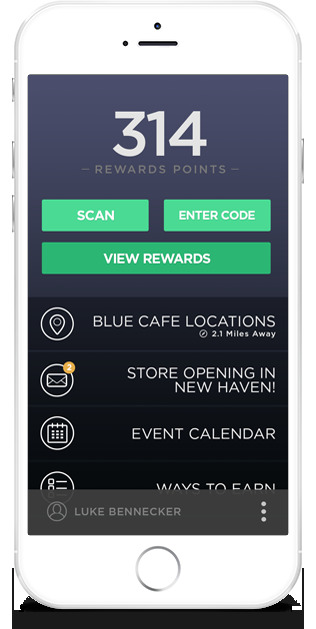 As a bonus, your customers show more engagement with the app. A major issue in ecommerce is shopping cart abandonment. It’s one thing to persuade customers to add items to their carts, and another thing entirely to lead them to complete checkout. 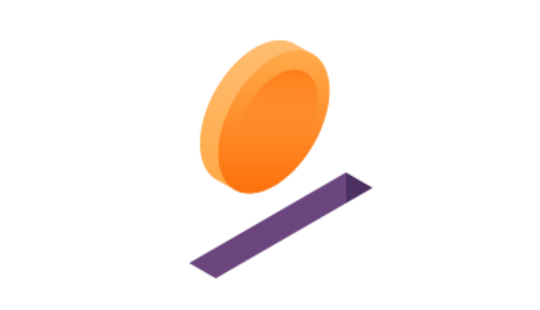 Baymard has discovered that the average rate of incomplete purchases is 69.23%. There are many ways to battle those issues within your ecommerce store, but you can also significantly reduce the number of customers who leave by creating an ecommerce app. 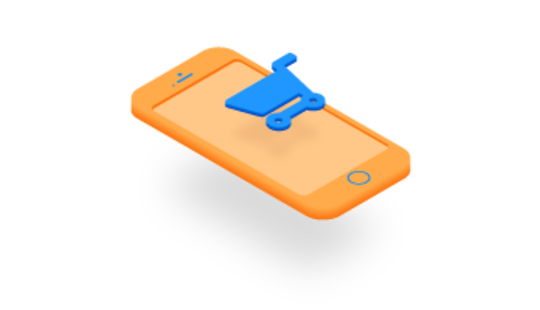 Mobile apps have considerably lower cart abandonment rates owing to the simplified checkout process. Shipping and payment information is stored within the system, which allows users to complete purchases with one click. This enables customers to go through checkout faster without unnecessary distractions. In addition, users don’t complete purchases when they access a store to browse without knowing what they need. The desktop version of your website promotes this behavior more than mobile apps do. It’s likely that customers who access your store via an app have made up their minds and are ready to buy. 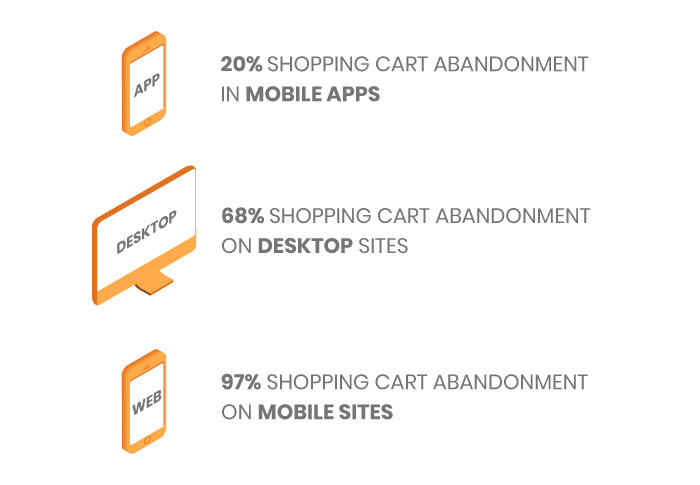 Let’s break down the average statistics for shopping cart abandonment. On desktop sites, 68% of users will leave your store after adding items to the cart. At the same time, mobile websites demonstrate the worst trend, with 97% of shopping carts abandoned. Now take a look at mobile app rates: only 20% of purchases are incomplete in apps. You can decide for yourself what works best. We’ve already determined that mobile ecommerce apps boost conversion rates, promote customer loyalty, and demonstrate lower shopping cart abandonment rates. But let’s return to the point about conversions, and more specifically average order value. As you may recall, mobile apps generate 140% more revenue than mobile sites and 130% more than desktop sites. The reason for this is a combination of all points mentioned in this article. Push notifications notify users when there are sales and special deals or when items they want are back in stock. Notifications make your customers remember your store, and if constructed properly, lure them back to your app. Easy payment. Give your customers the opportunity to choose among payment methods. If they pay by credit card, don’t make them enter the information for each purchase, but let them add a card to speed up transactions. Most importantly, add as many online payment systems to your app as possible. PayPal, Apple Pay, and Google Wallet are quickly gaining popularity among avid mobile app users. It’s not easy to make your ecommerce store the most successful, but you should grab every opportunity that can bring you closer to your business goals. Having considered all reasons in favor of creating your own ecommerce mobile store, you can decide if it’s the right move for you. If you have an idea for how to enhance your ecommerce store with a mobile app, feel free to contact us. Our team will be happy to assist you in this exciting step. How Do Free Mobile Apps Make Money?